My Holiday Photos. 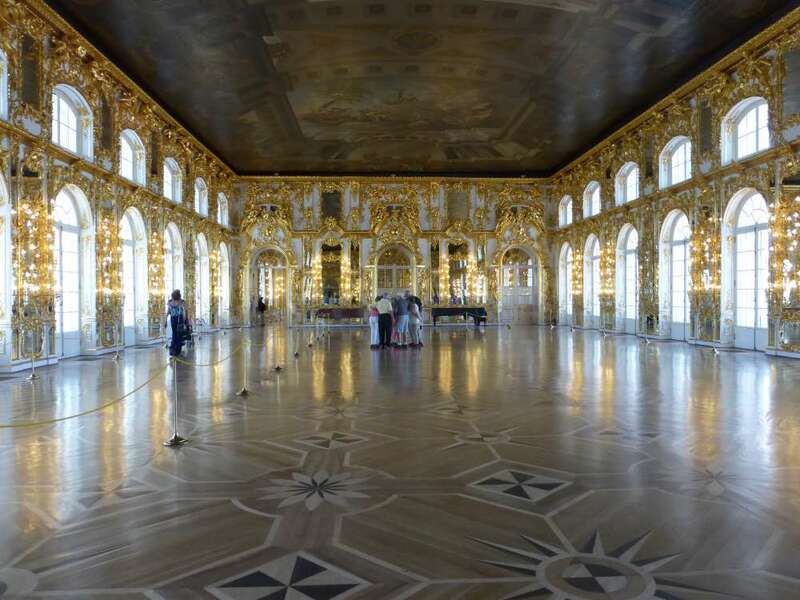 : Baltics Cruise July/August 2014 - Russia pt.3. 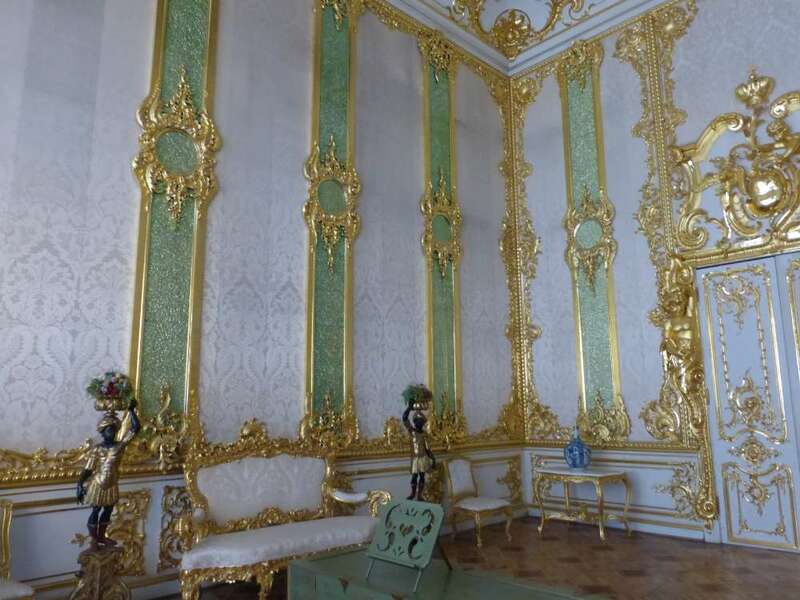 Catherine Palace. 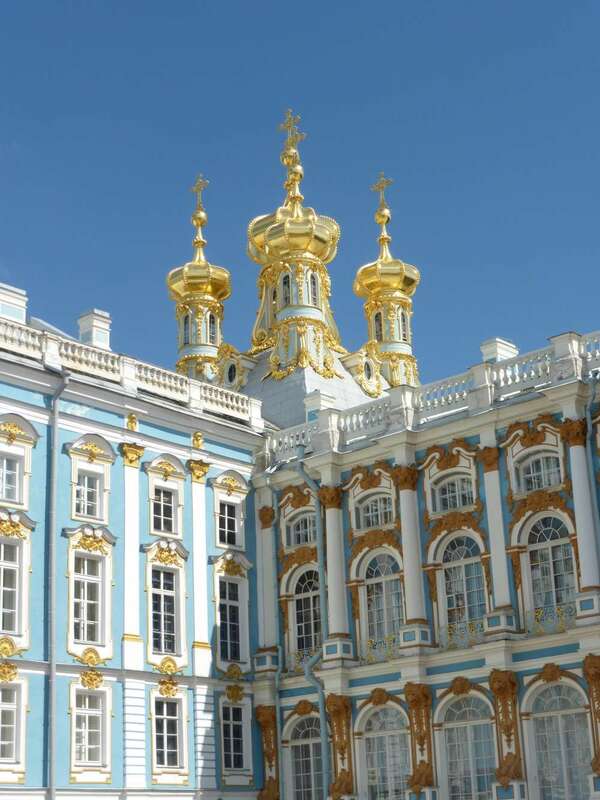 Baltics Cruise July/August 2014 - Russia pt.3. 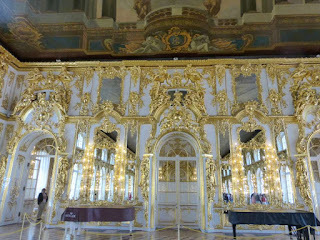 Catherine Palace. 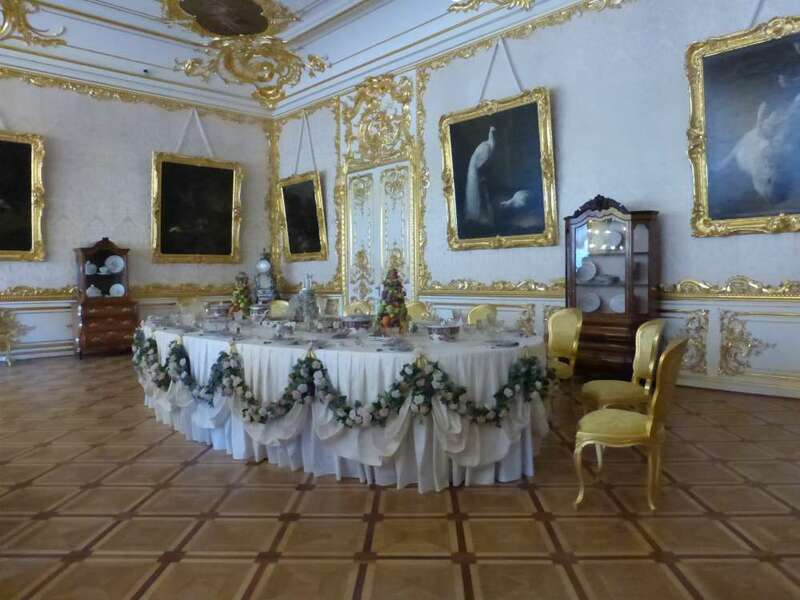 We left Peterhof Palace and our driver and guide took us to a small local restaurant where we had lunch before heading for Catherine Palace. It looked so pretty, almost as if it had been created by Wedgewood. 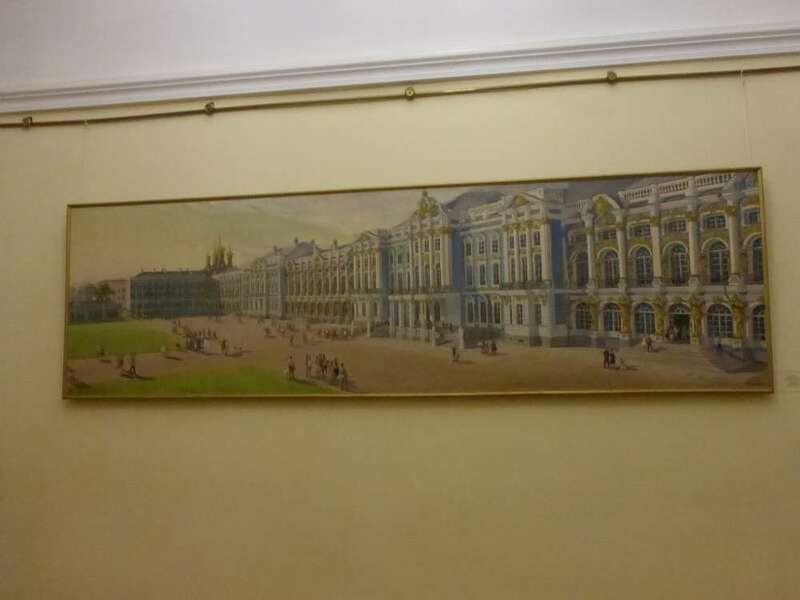 I have copy and pasted from the Visit Russia site as they can describe it's history much better than I can. "The Catherine Palace is the former imperial palace, one of the largest in the vicinity of St. Petersburg. The palace is located in the town of Pushkin (formerly Tsarskoye Selo), 25 kilometers south of St. Petersburg. 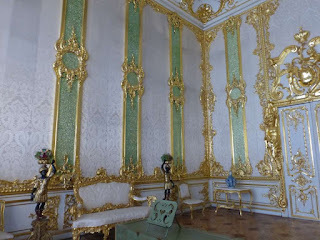 Both architectural trends of each of the periods, which the palace survived, and personal predilections of Russian tsars of that time reflected in the history and architecture of the palace. The palace was built in 1717 under the direction of the German architect Johann Friedrich Braunstein as the summer residence of Empress Catherine I. In 1743, Empress Elizabeth asked the Russian architect Mikhail Zemtsov and Andrey Kvasov to expand and beautify the palace. 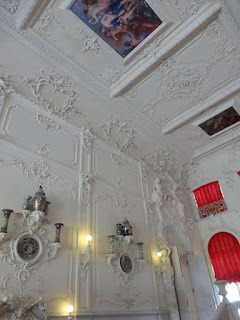 Exactly during the reign of Empress Elizabeth the palace acquired its present form and style. 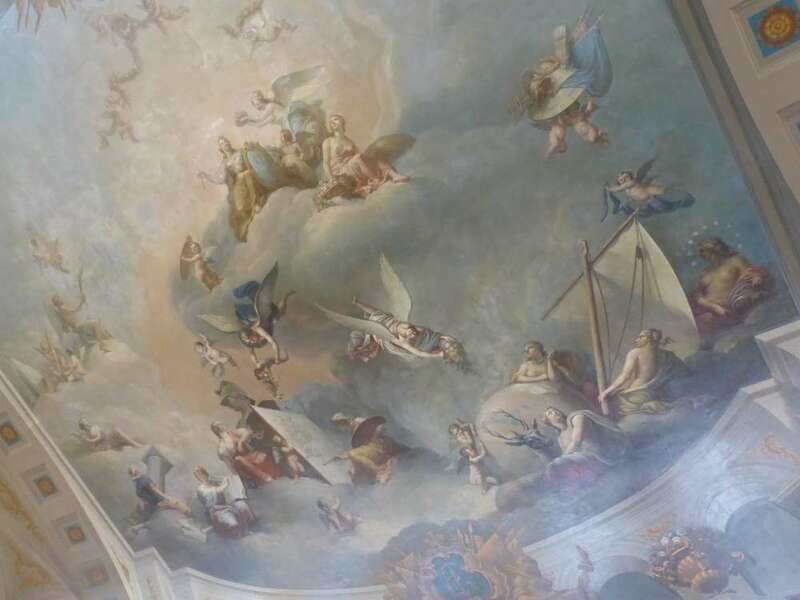 In May 1752, she asked the architect Bartolomeo Francesco Rastrelli to rebuild the palace, because she considered it too old-fashioned and small. 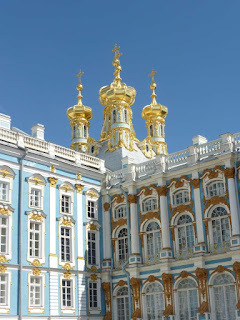 After the dismantling and grandiose reconstruction, which lasted four years, the modern palace was completely built in the Russian Baroque style. 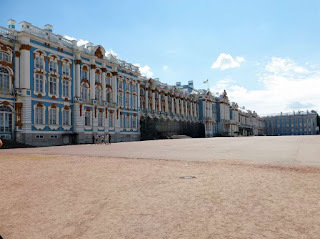 July 30, 1756 the presentation of the 325-meter Palace shocked the Russian dignitaries and foreign guests. A huge size of the Grand Palace is seen immediately. 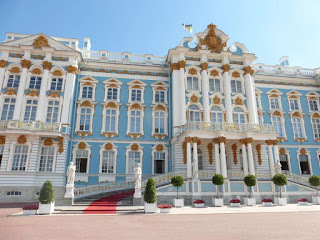 In addition, the symmetrical axis system of the overhead porticoes of the palace facade corresponds to the basic spatial coordinates of the park plan. 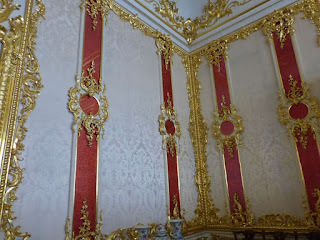 The final touch in the construction and decoration of the Catherine Palace was the Main Staircase in the Rococo style, created in 1863 by the Russian architect I. Monighetti. 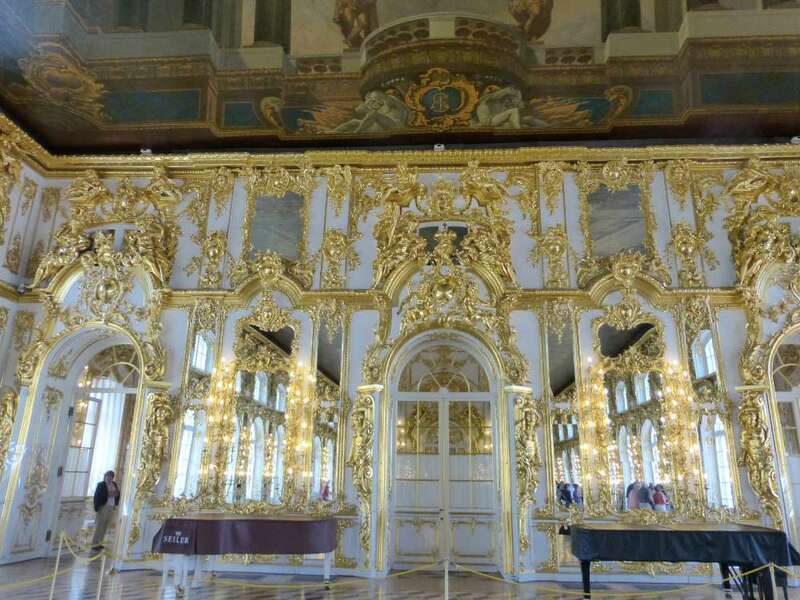 After the October Revolution, the Catherine Palace was turned into a museum. 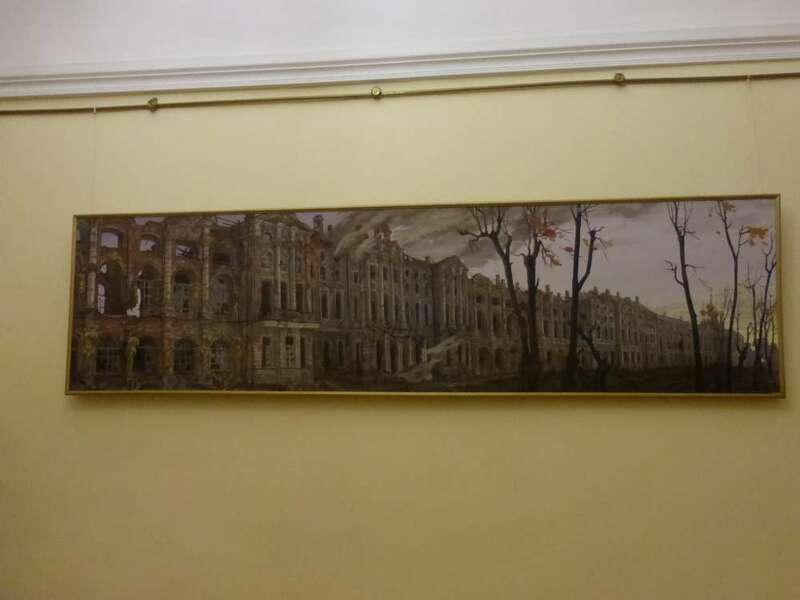 During the German occupation, the ensemble suffered, the palaces were looted, many of the exhibits were burned. 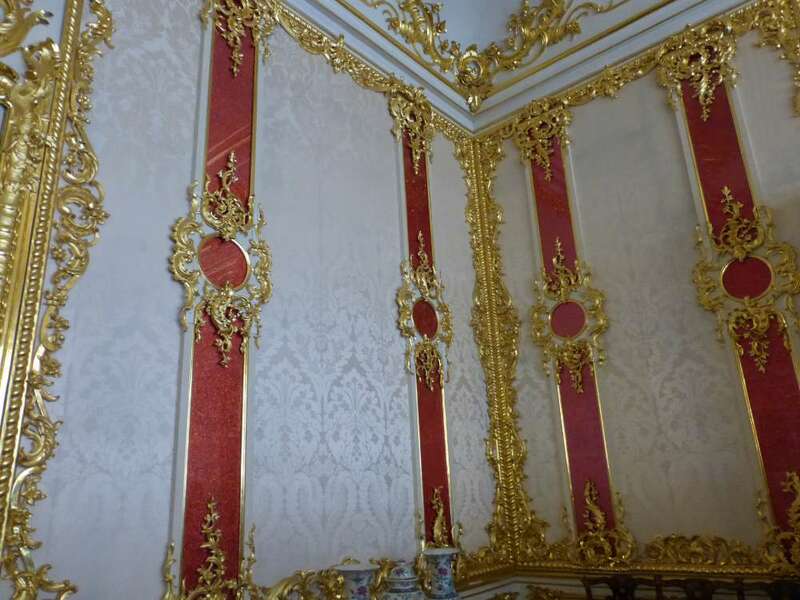 Nowadays, the ensemble is fully restored by restorers N. Baranov, A. Kedrinskiy, N. Tumanov, etc. Today, the exhibition of the Catherine Palace is opened in 32 rooms. 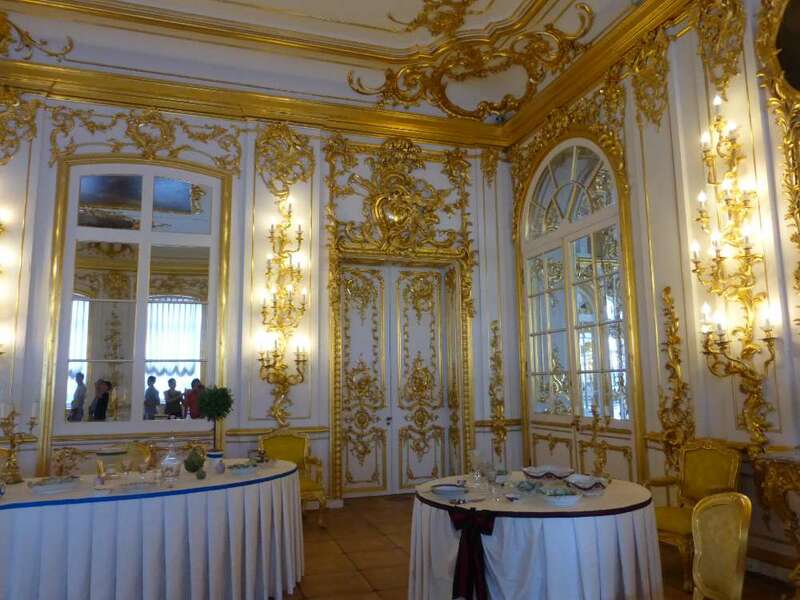 The most interesting place of the palace for tourists is the famous Amber room restored by 2003. 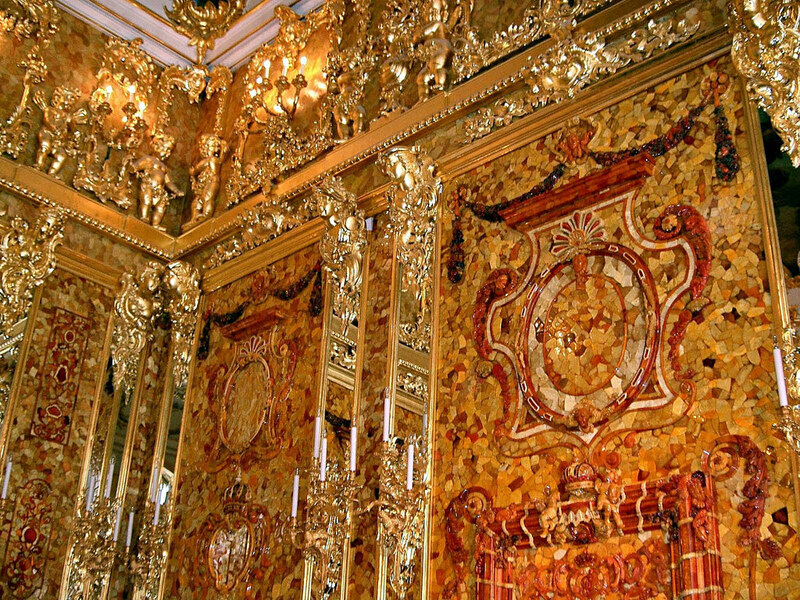 The main decoration of the Amber Room was made at the beginning of the XVIII century in Prussia, in 1716 it was presented by King Friedrich Wilhelm I to Peter I; in 1746 it was completed and fit in the Winter Palace in St. Petersburg, in 1755 it was moved to Tsarskoye Selo. 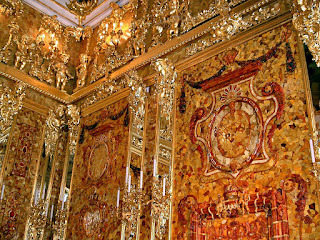 During the Great Patriotic War, the decoration of the Amber Room was removed by the German occupiers to Koenigsberg. 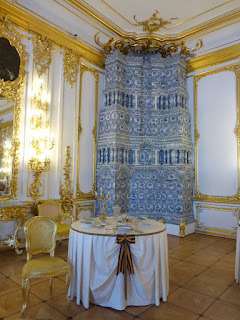 The further fate of the room was unknown. 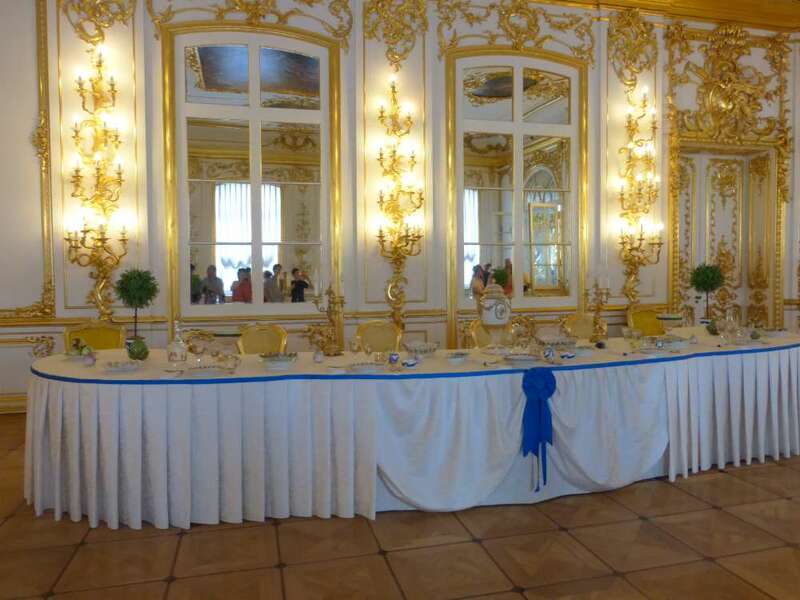 Since 1979, there have been the restoration work of the Amber room, by the 300th anniversary of St. Petersburg it was completely restored by domestic restorers, including by funds of German companies. The fate of the original exhibits of the room is still under a veil of legends and myths." Only a set number of people can go into each room at a time, but as we had taken a small private tour we were able to go in early and avoid the the crowds. 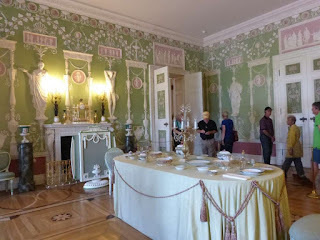 Another of the elaborate rooms. Every room that we viewed amazed us with the opulence. 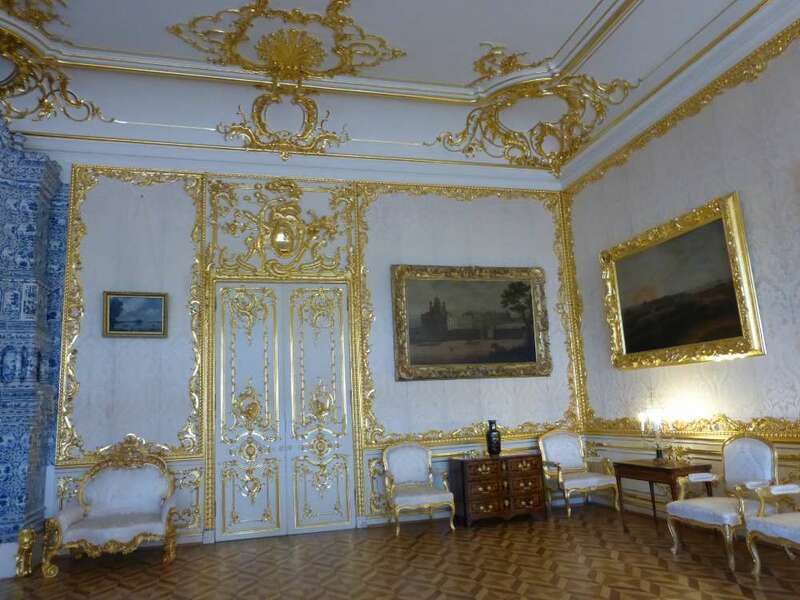 Yes, this is The Green Room. 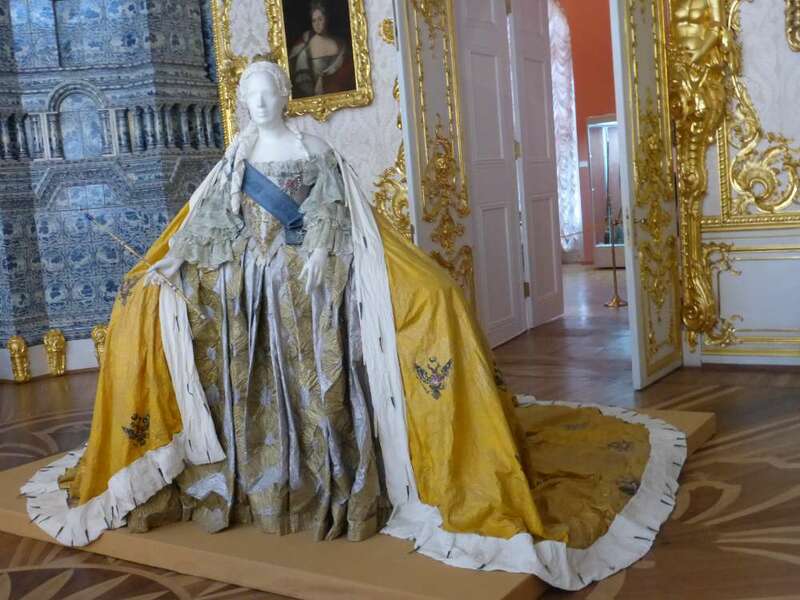 Replica of Empress Elizabeth's ball gown. 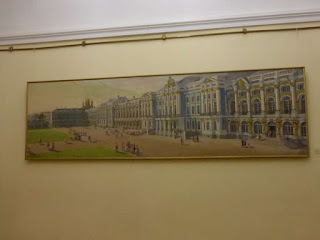 Painting of the Palace before the Great Fire of 1820. 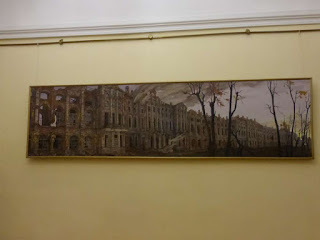 Painting showing the devastation caused by the fire. 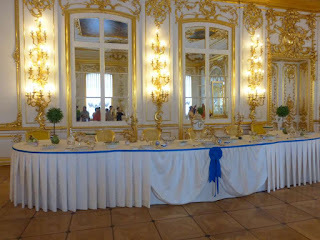 *We also saw the Amber Room but were not allowed to take photos in there. I did a safe search and found this photo which is stated as being free to use and share. 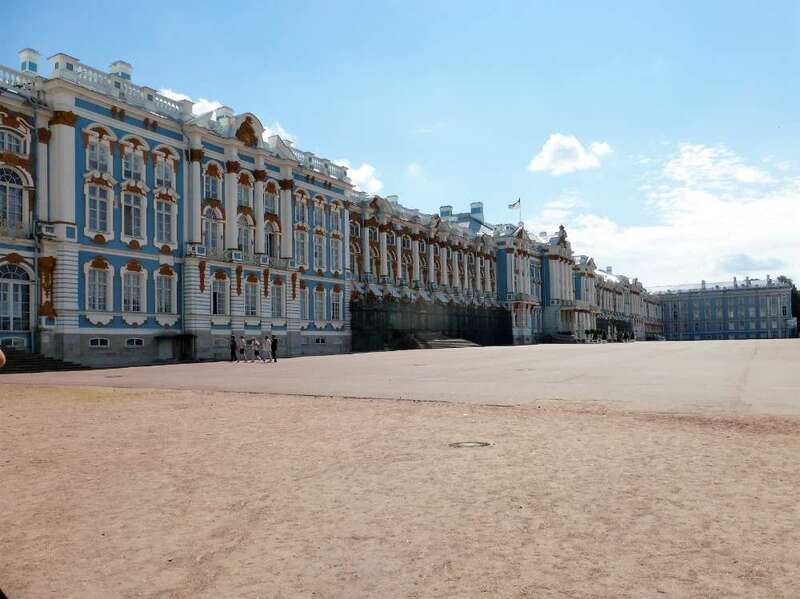 After a tiring but very enjoyable day it was back to the ship to rest up for the next busy day sightseeing in St. Petersburg.